I didn’t have much time for you. I’d say: "A little later, son." I wish I’d stayed a minute more. Source: Scion of Zion I originally read it in Chicken Soup for the Woman's Soul. O Most Merciful Jesus, I consecrate my children to You. No one can understand better my cares and worries and no one is more effective in helping me than You. 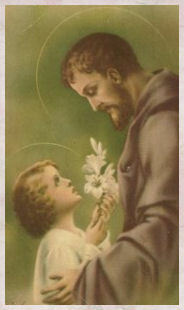 Give me many graces to raise my children since I know well that no effort will be fruitful without Your assistance. Direct my actions and illuminate the instruction I give my children. Keep them from sin; teach them to advance in goodness; keep them from bad companions; help them in their studies; make them amiable and merciful with the poor; those who suffer and all the unfortunate. Keep them in sanctifying grace and give them good health, so that they may grow up for the honor and glory of God, the betterment of society, the consolation and support of their parents and for their own temporal and eternal joyfulness. And when You, my judge, call me, grant that Your Most Sorrowful Mother take care of my children. From now on, I promise to serve You faithfully, to adore Your inexhaustible mercy, to spread this devotion and to place in it my unlimited trust. So be it. In the sixth month the angel Gabriel was sent from God to a city of Galilee named Nazareth, to a virgin betrothed to a man whose name was Joseph, of the house of David; and the virgin's name was Mary. And he came to her and said, "Hail, full of grace, the Lord is with you!" But she was greatly troubled at the saying, and considered in her mind what sort of greeting this might be. 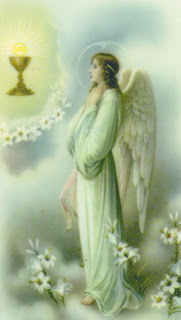 And the angel said to her, "Do not be afraid, Mary, for you have found favor with God. And behold, you will conceive in your womb and bear a Son, and you shall call His name Jesus. He will be great, and will be called the Son of the Most High; and the Lord God will give to Him the throne of His father David, and He will reign over the house of Jacob for ever; and of His kingdom there will be no end." And Mary said to the angel, "How shall this be, since I have no husband?" And the angel said to her, "The Holy Spirit will come upon you, and the power of the Most High will overshadow you; therefore the Child to be born will be called holy, the Son of God. And behold, your kinswoman Elizabeth in her old age has also conceived a son; and this is the sixth month with her who was called barren. For with God nothing will be impossible." And Mary said, "Behold, I am the handmaid of the Lord; let it be done to me according to your word." And the angel departed from her. It just so happens that St. Michael is my patron saint this year! The feast of the three archangels- Sts. Michael, Gabriel and Raphael- will be commemorated on September 29. 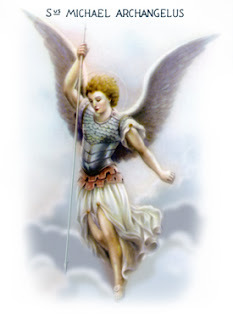 St. Michael whose name means “Who is like God” was the archangel who fought against Satan and all his evil angels, defending all the friends of God. He is the protector of all humanity from the snares of the devil. 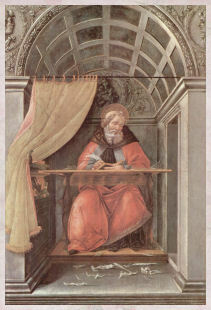 St. Gabriel which means “Strength of God” announced to Zachariah the forthcoming birth of John the Baptist, and to Mary, the birth of Jesus. His greeting to the Virgin, "Hail, full of grace," is one of the most familiar and frequent prayers of the Christian people. 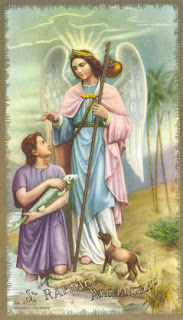 St Raphael meaning “Medicine of God” is the archangel who took care of Tobias on his journey. 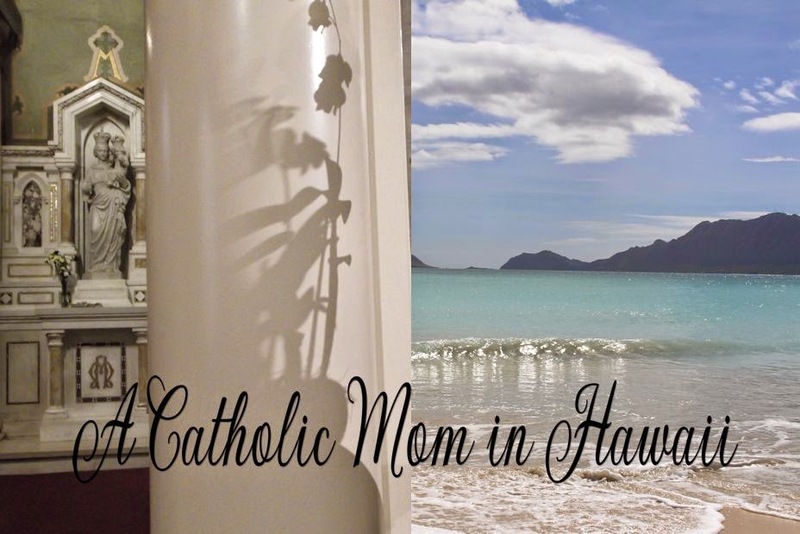 For more prayers, litanies, information on archangels, please be sure to visit St. Michael's Center for the Blessed Virgin Mary located in the beautiful state of Hawaii. Easter posted the most wonderful poem/prayer on our friendship with our God. Thanks to Sue for sharing. Just one account of how the Holy Souls suffer in Purgatory. Pray for the Souls in Purgatory! 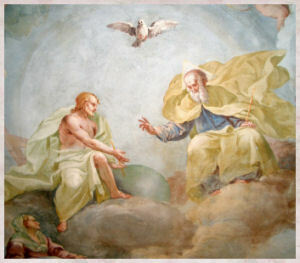 From the revelations of the saints we understand that there are different degrees of pain and suffering in Purgatory. We could have no better guide than that of Mary Magdalen Dei Pazzi. Among all the saints canonised by the Church, she is the one who, after Saint Frances of Rome, has left us the most detailed and the most exact description of Purgatory. One evening, as she was walking in the garden of the Convent, she was suddenly taken away in spirit and she was heard to say: "Yes, I will walk around it; I will walk around it! " With these words she consented to her Guardian Angel's request to visit Purgatory. Once the ecstasy was over, she wrote her account about it. 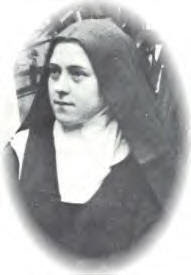 Mary Magdalen Dei Pazzi witnessed the intensity of the suffering in Purgatory and visited the different places where the souls are imprisoned. There was an abyss filled with tormented Priests and religious, another place which was not so severe held the souls of children and those who were guilty through ignorance. She saw souls being pricked by the points of very sharp needles and almost torn to shreds..these were the souls of those who had tried to please others during their lives and so had been hypocrites. Further on were observed the souls of the impatient and disobedient..they were being crushed under enormous weights. To her horror she witnessed a group of souls having molten lead poured into their mouths while at the same time having their bodies immersed in a pool of ice. These souls, who were burning and freezing at the same time, belonged to those who were liars. The avaricious were being liquefied with lead whilst the souls of the ambitious suffered excruciating pain in darkness. The hard-hearted and ungrateful to God were immersed in a lake of molten lead as punishment for allowing the source of Grace to remain sterile through their ingratitude. Finally she visited the prison of those who during their lives held no great vices but they suffered also, but to a lesser degree than the others, all the castigation of all those lesser vices which they had. After two extremely painful hours Mary Magdalen Dei Pazzi returned to herself, physically weak and in a state of moral prostration.....requiring several days to recover. The body of Saint Mary Magdalen Dei Pazzi remains incorrupt after several hundred years. You know well enough that our Lord does not look so much at the greatness of our actions, nor even at their difficulty, but at the love by which we do them. And the Church gratefully remembers your promotion of the priesthood. ---both the spiritually and the materially poor. Amen. 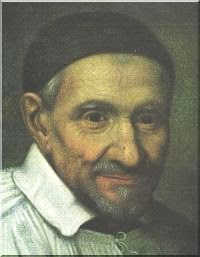 Book Recommendation: Vincent de Paul Saint of Charity by Margaret Ann Hubbard, a Visions Book. Nick of Mount Carmel Bloggers shares the link for a beautiful online Missal for children. 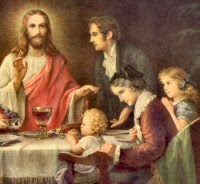 Now that Summorum Pontificum is in full force, I thought I'd repost this link to A Child's Missal from The Society of St. John which beautifully explains The Holy Sacrifice of the Mass. The illustrations come from a deep immersion in iconographic language and the pictures of the Mass show its timelessness. It's great even for adults. So if you're looking for a resource to teach the Mass, this is a fine one to add to your library. Best of all, you may download the complete book in pdf. However, it is worth getting hardbound. How does one keep Sunday holy? Did I mention to you that a prolife group here in Hawaii, Aloha Problem Pregnancy Center, is bringing the movie here to us? As soon as I get more definite details, I will share them. Just be sure to keep November 8th open so you can attend. It is a fundraiser. Even though the tickets are free, please be generous when donating. Which brings me to my post, Tito of Custos Fidei a fellow Catholic blogger with Hawaiian ties, has a very interesting article on Bella's debut in Houston. Texas Right to Life held their annual banquet last Friday on September 14 A.D. 2007 here in Houston. The movie producer, Leo Severino, and the leading man, Eduardo Verastegui, both of the movie Bella, were guest speakers among others. Pat Gray was the Master of Ceremonies and was very entertaining to say the least. Ever since the day, in the late seventeenth century, when St. Margaret Mary set up a little picture of the divine Heart for honoring by her fellow religious, many types of Sacred Heart badges and medals have appeared. But the Sacred Heart Badge, often encased in plastic, is the most popular of all. This official badge bears the image of Our Lord on one side, showing us His Heart and pleading for men's love, even as He showed Himself to St. Margaret Mary in 1674. The reverse side shows the Heart alone, encircled with thorns, the Cross buried within it, and the flames of divine love bursting from it. 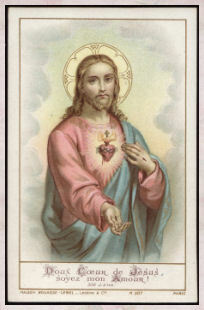 This side bears the indulgenced aspiration: "Sacred Heart of Jesus, Thy Kingdom Come." A plastic covering gives durability, necessary with respect to Indulgences. But equally valid is any firm backing: heavy cloth, felt, metal, etc. The Badge is an external sign of the union we cultivate with Christ as the Head. Perhaps the easiest answer would be: "Almost everybody." That is, almost every Catholic has at one time or other carried in pocket, purse, wallet, or about his person this emblem of love. One thinks of the sudden cessation of the Great Plague devastating Marseilles in 1720, following the citizens' throwing of themselves upon the mercy of the divine Heart and each fashioning for himself a Sacred Heart Badge. 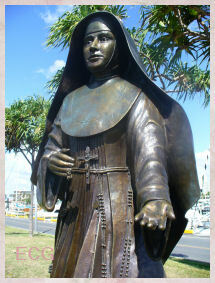 One thinks of Saint Frances Xavier Cabrini in New York and New Orleans and elsewhere, busy with her distribution of countless Badges to men and women in all walks of life. Or of the thousands of invalids who have known an added measure of encouragement and hope as the Badge was pinned to their clothing. Or of the members of American armed forces who have asked for and treasured the Badge. 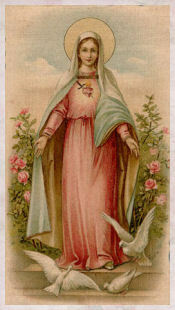 Certainly to all devotees of the divine Heart, the Badge is precious. It remains indeed a white and red badge of courage, of trust in Our Lord, and of love for Him. "Sacred Heart of Jesus, Thy Kingdom Come!" Indulgence of 300 Days each time. To read the Word of God in this apocalyptic book without letting our imagination give us misguided interpretations, we need to understand the symbolism the same way the first readers did. These symbols were easily recognized by the first readers, because the meanings had been familiar to the people throughout Jewish history, as can be seen frequently in the Old Testament. One of my readers shared a list of free Catholic items. I will post them here to you to go through. Mahalo covakid9-gadwords for sharing. Is it just me, or are guys getting dirtier in the way they abandon their wives? I've heard of several things from different couples that make me wonder what's up with that. In the last year or so I have read in two leading Catholic magazines disturbing stories on how husbands have abandoned their wife and family and have asked for a divorce. I remember sharing both stories with a devout Catholic friend whose husband asked for a divorce out of the blue. Why is this happening to more and more Catholic marriages? What can we do to keep our marriages holy and intact? Mahalo to all of you who commented or send me an email regarding my question yesterday. It appears that the GIRM does not state one way or another that we have remain standing until the Tabernacle door closes. At least not yet. However, since that is the directive our bishop Larry Silva has given to all the churches in our diocese, through his priests, that is what we have to do. We have to obey our bishop. At the start of Communion today, we were told that the new GIRM directives state that we must remain standing until after the Tabernacle doors close. I cannot find the citation. Can anyone help me with this? 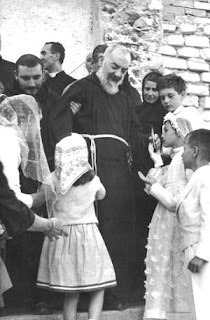 On Friday, September 20,1918, Padre Pio received the impression of the wounds of Christ on his hands, his feet and his side. This Gift of Love from Christ he carried for fifty years. 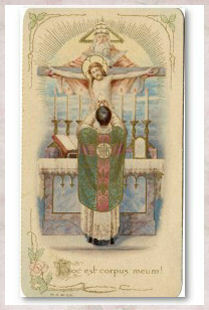 He was the only priest in the history of the Church as far as we know, who was blessed with the stigmata. On another Friday, September 20, 1968, fifty years later, he celebrated Mass as he usually did at 5:00 A.M. He was extremely weak and was helped to the altar in a wheelchair. 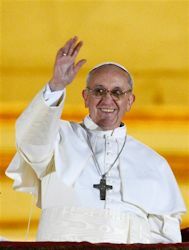 He celebrated the Mass while seated, with the permission of his spiritual son, Pope Paul VI. An unusual thing began to come about. Prayer groups and thousands of his Spiritual Children began to arrive in San Giovanni Rotondo atop Monte Gargano in southern Italy. There had been no arrangement made by the Capuchins, no organized gathering had been planned, yet his"children" as he affectionately called them gathered as if for some special occasion. Despite his weakness he heard confessions until his superior ordered him to rest. That was Friday. On Saturday, he was so weak he had to spend the day in bed. The crowds gathered in Our Lady of Grace Church to pray for Padre Pio's recovery. God had healed him before; surely He would heal him again. 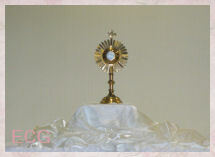 On Sunday, the 22nd, he did celebrate his 5:00 A.M. morning Mass for all his prayer groups. Again he was wheeled into the church and celebrated Mass while seated. His voice was weak. It was apparent that he had little strength. 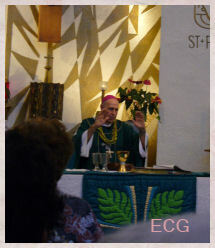 In fact, at the end of the Mass he almost collapsed. He was helped from the altar by his brother Friars, and as he was wheeled into the sacristy he was heard to whisper, "Oh my children!" Few of his chil- dren realized that he had just celebrated his last Mass. On that day, the crypt which had been made for Padre Pio was blessed by the bishop. 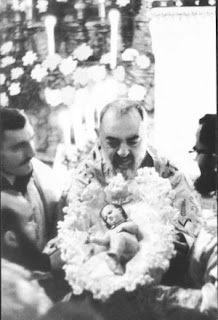 Some years earlier, in 1959 at the opening of the new church, Padre Pio had said, "When the crypt is blessed God will call Padre Pio home." At that time, no one remembered his prophecy; they all felt he would be healed. At noon, he came to the little window in his cell. His friars supported him as he waved his hand weakly and blessed the anxious crowd outside. 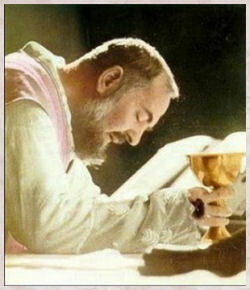 About 1:00 A.M. the following morning Padre Pio rang the little bell beside him. He was seated in an arm chair dressed in his Franciscan habit. His superior sent immediately for the doctor in Padre Pio's hospital LaCasa Sollievo Della Sofferenza. 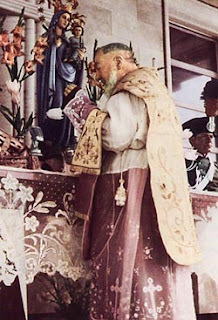 Padre Pio went to confession. His Capuchin brothers administered the last rites. He renewed his Franciscan vows. 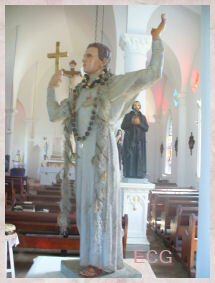 His rosary was in his hands as it always was. He fingered the beads. He was unable to say the Hail Mary, but he repeated over and over again the names Jesus and Maria. About 2:30, he opened his eyes very wide and said: "I see two mothers." (His earthly mother and his Heavenly Mother.) As he exhaled his last breath, he whispered "Maria." Later his superior said that his head fell gently to his chest and that "he died like a little bird." For a few moments his cell was blooming with the heavenly fragrance that so often came from his wounds during his fifty years of suffering.